A great $19,570 starting MSRP is an affordable price point for Guam drivers. 33/25 hwy/city MPG rating to save you money at the gas pump. Great standard features like 17-inch alloy wheels, available AWD, multi-angle rearview camera, and 60/40 split 2nd-row Magic Seats®. 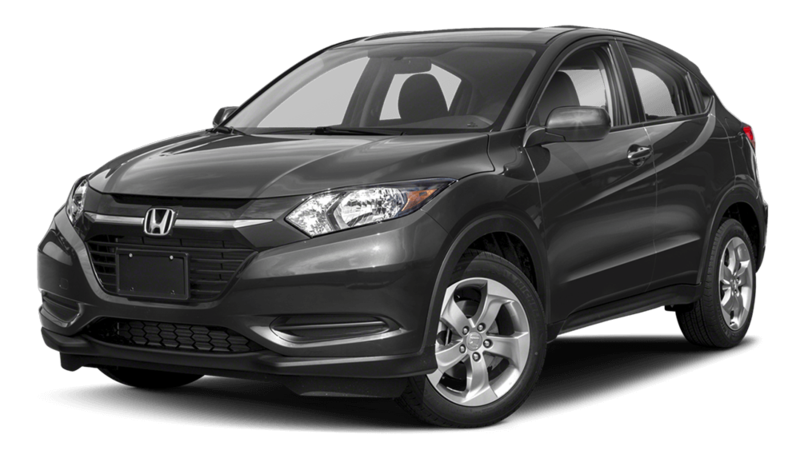 Test drive the 2018 HR-V today at Triple J Auto. We’re the best place to buy or lease a car on Guam, and we’ve been trusted by Guam Air Force Base residents for many years. You can count on us to help you choose the right vehicle for your island needs. Roguish Exterior: Some vehicles were born for greatness, and the HR-V is not only born for greatness but also for adventure. Enjoy an angular style designed for aerodynamic performance, energy-efficient and exceptionally bright LED taillights, and 8 vibrant colors to show off your HR-V’s personality. Comfort and Convenience: With automatic climate control, touch interfaces, one-touch power moonroof, comfortable seating for 5, and up to 58.8 cu. ft. of cargo space with the rear seats folded flat, the HR-V can take you and your passengers around Guam in style and comfort. Advanced Technologies: Honda Satellite-Linked Navigation technology, Honda LaneWatch,push and go engine start, Bluetooth streaming audio, Pandora compatibility, and HondaLink mobile device integrations make the HR-V one of the most technologically advanced compact SUVs on the road in Guam today. At Triple J Auto we offer some of the best customer service you’ll find on Guam, and island drivers have trusted us for many years when they’re on the hunt for a new vehicle. Visit us today to test drive the 2018 Honda HR-V and to see our extensive inventory of vehicles from all makes and models. We look forward to seeing you at Triple J Auto soon!